If you're interested in cars like me, this is a pretty cool place to spend a few hours. $10 for adults. 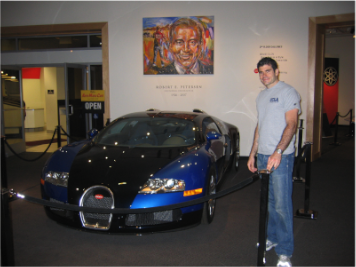 My Dad took this picture of me there in 2007 next to a Bugatti Veyron. Open T-Su 10am-6pm. 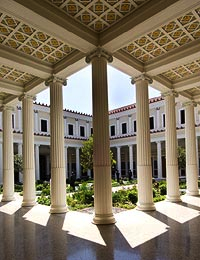 Up the Pacific Coast Highway in Malibu is the Getty Villa, sister site to the Getty Museum in Brentwood. Set in the style of ancient Greece and Rome, a walk through the grounds is a nice way to kill some time away from the bustle of Santa Monica. An advanced, timed ticket (basically a reservation) is required. Open every day except Tuesdays, 10am-5pm. Outdoor mall with lots of cool street performers. 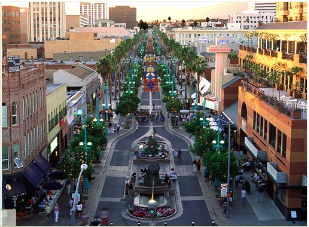 Decent place to be entertained, grab lunch, and do some shopping. Also, within walking distance of all of our recommended hotels. Business hours for shops. 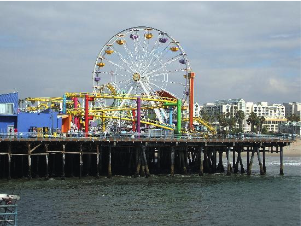 You have to check out the ferris wheel. This is where drag racing was at back in the day. 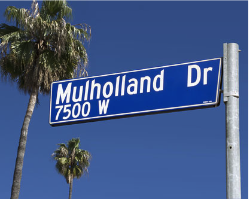 An awesome drive through the Hollywood Hills that will make you feel like James Dean. Open 24-7. 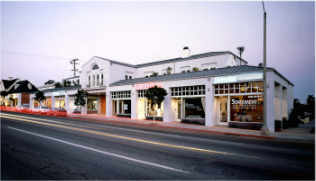 Celebrity sightings, great boutique shopping and sunshine are commonplace along this well-known brentwood strip. Most shops open during standard business hours.